OLD PARKED CARS. : 1983 Subaru GL10 convertible by Matrix. 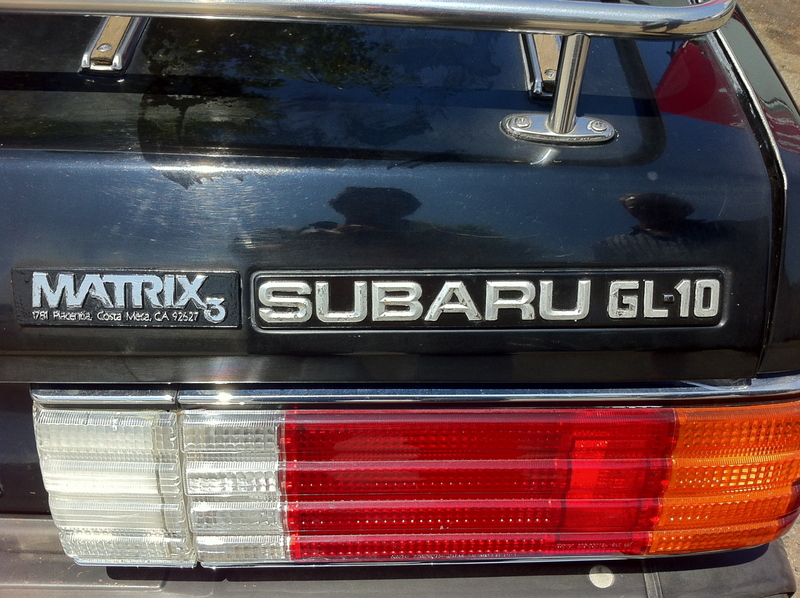 1983 Subaru GL10 convertible by Matrix. It looks like a K-Car. It's a lot smaller, Chris. I'm glad to see these still exist. Was just reading about these. Wow! Looks good too...but I wonder how it looks with the top up. Love the luggage rack and the roll bar. Great rims. @Dave Are you talking about Kei cars? If you were those are small! Lol I was referring to how this car in convertible form looks like a Chrysler K-car. damn, that's a good lookin subie, so clean. wish my brat was in that condition when I got it. 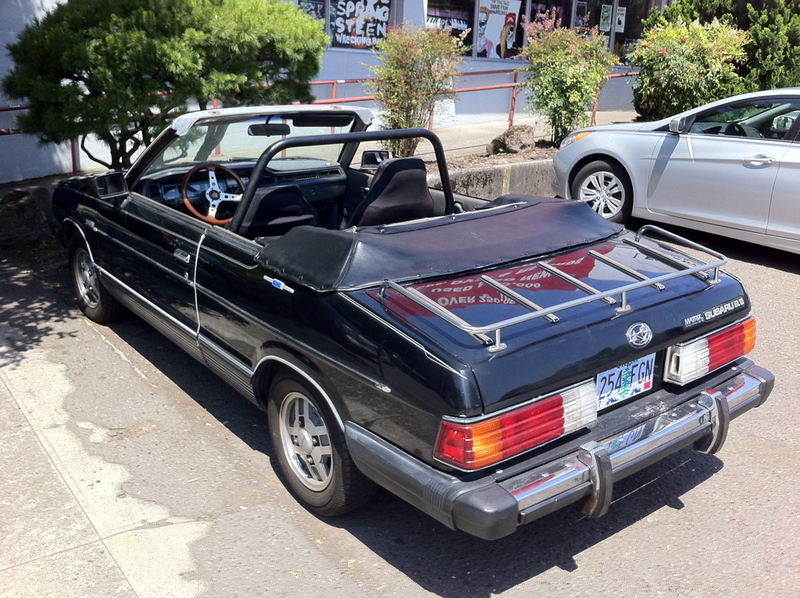 Love all the 80's convertible conversions-especially this and the Celica Sunchaser. Looks insanely sharp with that gloss black paint and alloys. late 70's/early 80's were a dark period in Japanese design. 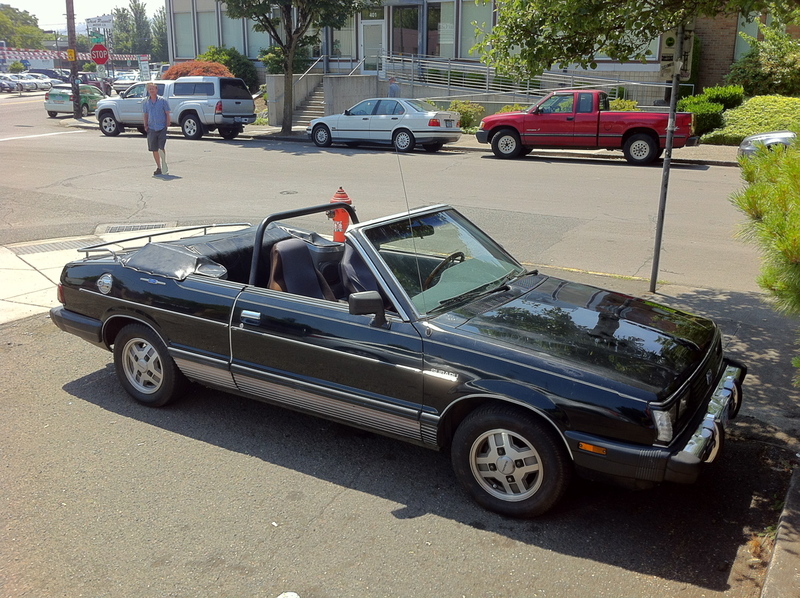 This Subie looks pretty good as a convertible. It reminds me of a curvier version of the Renault Alliance convertible. They must not have done many. I've never seen one. 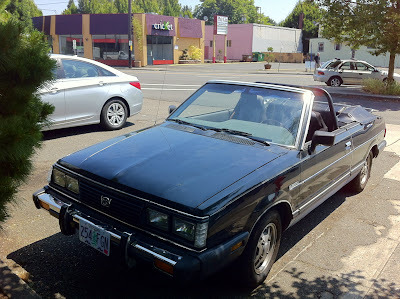 Toyotas often got the big haircut in the 80s. The real test is proper structural rigidity. They sag. Some of the conversions had terrible top-up profiles. The Australian exported 91-94 Mercury Capri to the US had maybe the worst factory top.